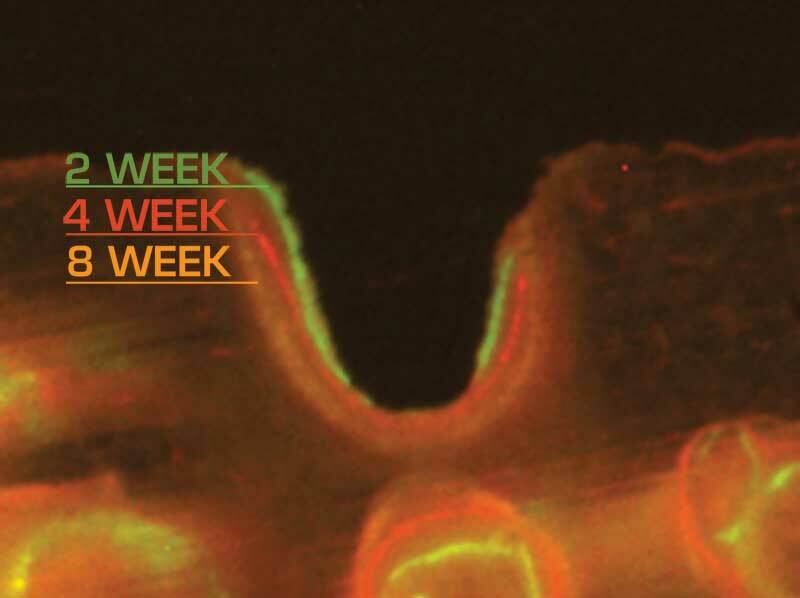 Bone formation around the implant in rats: SurfLink® enables gap elimination at bone to implant interface (left). 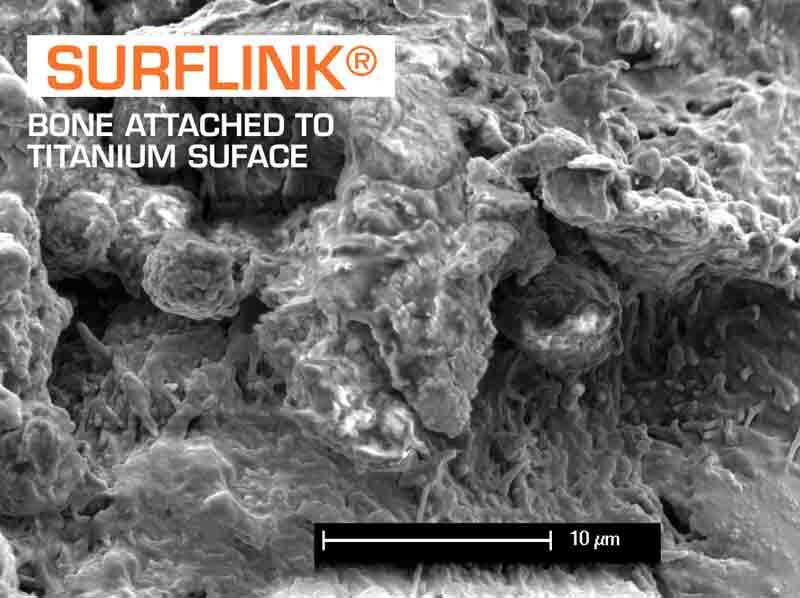 Upon implant removal testing, implant fixation was 38% higher with SurfLink® surfaces (right). 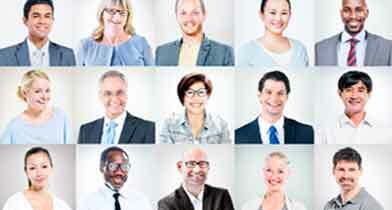 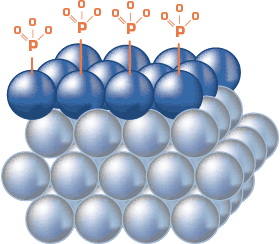 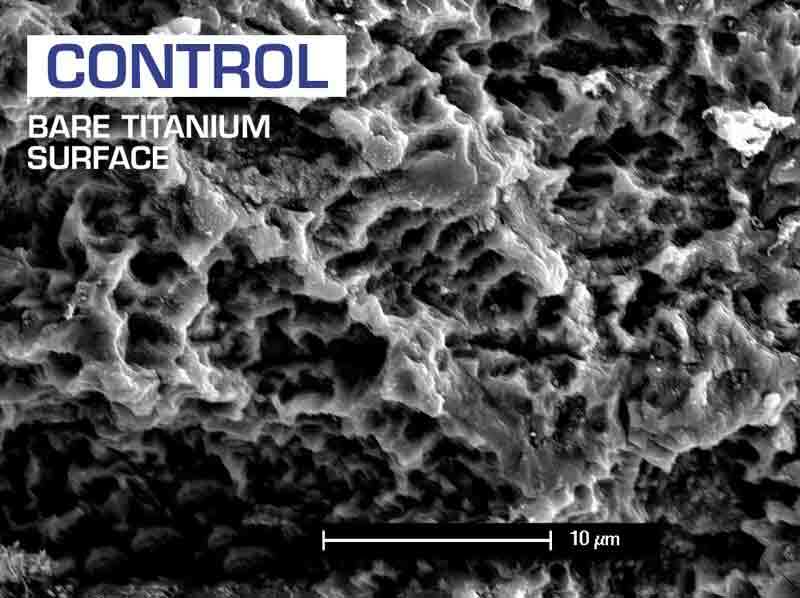 The surface of SurfLink® treated implants is osteoconductive. 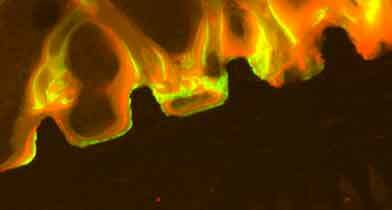 Newly formed bone spreads out from the implant surface. 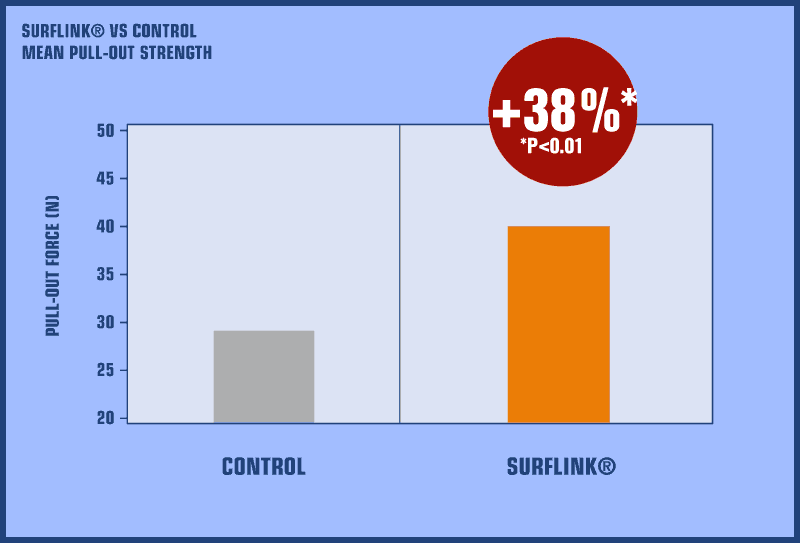 SurfLink® treated implants showed greater integration over control implants with higher torque and stiffness values at 2 weeks (+32% and +37% respectively). 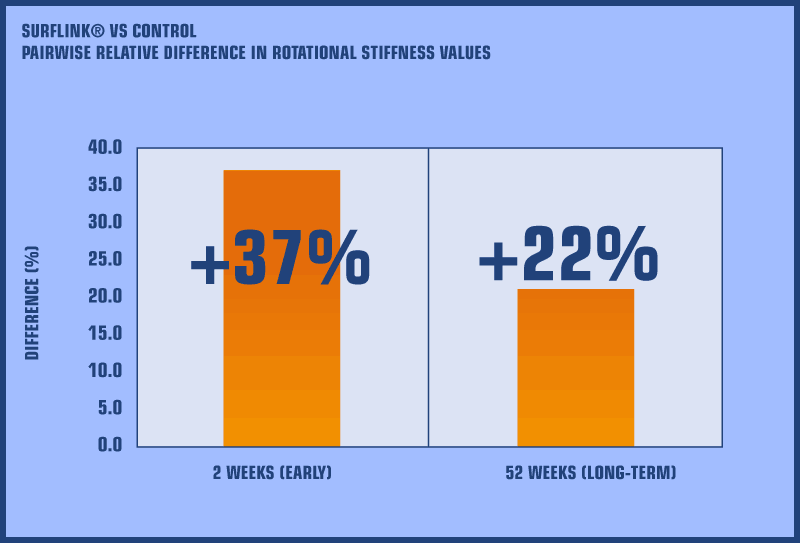 At 52 weeks, torque and stiffness values (+6% and +22%, respectively) reflect superior long term fixation and stability of SurfLink® implants. 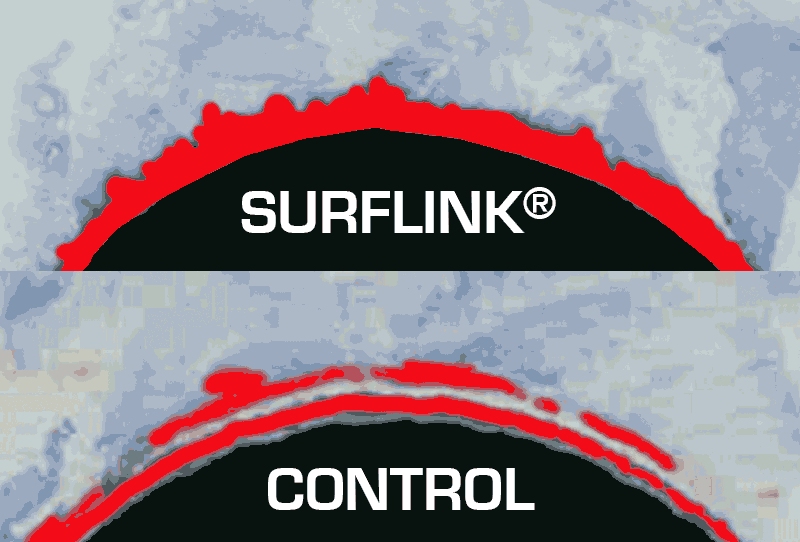 On SurfLink® treated implants an abundance of bone was observed (LEFT). 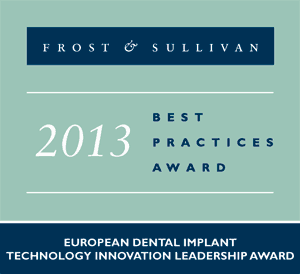 On control implants it is mainly the original rough implant surface which was seen (RIGHT). 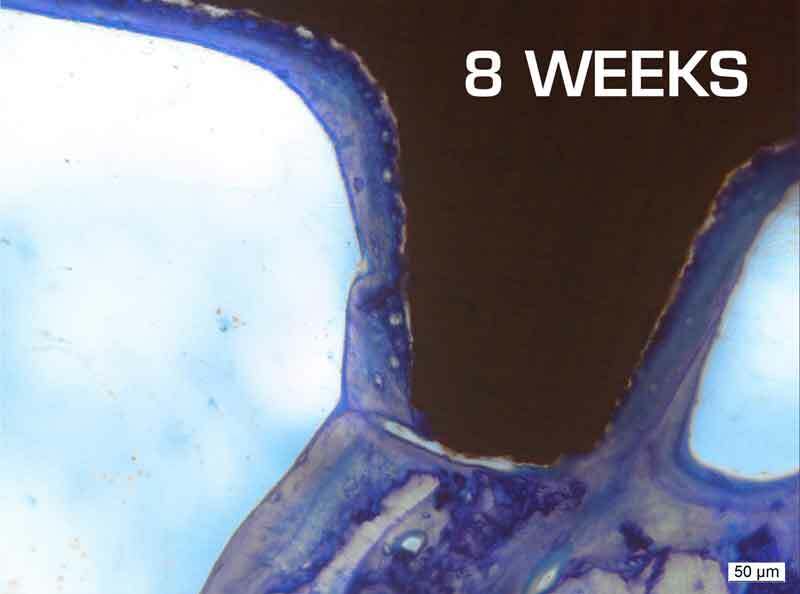 Mineralisation already starts at 2 weeks after insertion on the implant surface. 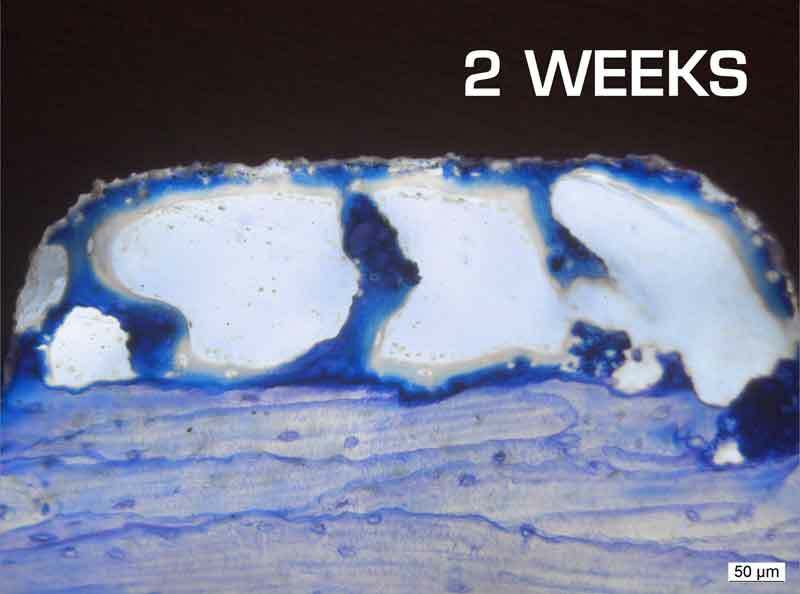 New bone continues to grow from the surface and outwards at 4 weeks and 8 weeks.